Adult orthodontic treatment is becoming more and more common these days. Whilst most patients have orthodontic treatment during the teenage years, having a great smile isn't' just for children and teenagers. In our practice approximately one third of our patients are Adults seeking a better smile or a correct bite. There is no need to worry about having metal braces on your teeth when we have treatment options such as Clear braces, Invisalign and Harmony lingual braces. We understand that not everyone had the opportunity to have orthodontic treatment during the teenage years or that your teeth have become crooked over time, there’s no reason why you can’t have treatment now. 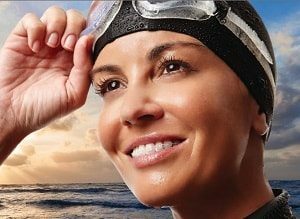 Our express braces are very popular with many Adults having a great smile in usually 6-12 months. Inline Orthodontics offers you the very best in adult orthodontic treatment. We can tailor our treatment around your lifestyle to ensure the best results with the least amount of fuss. Quality care, the latest technology and flexible appointments are all part of our service. We can discuss a number of options to suit your expectations and budget. Call us today for your no obligation free consultation on 07 34880002. Often a smile is the first thing you notice when you meet someone. Your smile says a lot about you as a person, and having a beautiful smile improves your self esteem and happiness. Our smile is an important part of our expression, our emotions and who we are.We are proud to be part of your journey to a new smile, a new you! If teeth are crowded it is often much harder to brush and floss adequately. This can create areas for food or plaque that can't be cleaned. In some cases, cavities or tooth decay can begin to appear and and/or gum disease or gingivitis can also occur. Teeth that are straight makes brushing and flossing easier and this results in better oral health in the long term. Orthodontic treatment can correct misalignment of the top and bottom jaws. This misalignment can create tooth uneven or accelerated tooth wear and over time can contribute to breakdown of supporting tissues (gums). This can in turn create difficulty in day to day eating and function. In extreme cases, the teeth can wear significantly or fracture prematurely leading to expensive restorative work such as crowns being needed. In addition, the gums and around the teeth can recede particularly in the presence of food debris and plaque causing sensitivity. In some cases, having a poor bite or jaw relationship can cause stress or deterioration of the TMJ/Jaw joint as well as pain or headaches. 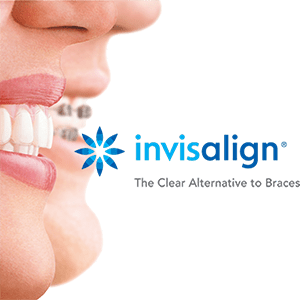 Invisalign consists of a series of clear mouth guard-like plastic aligners that are worn 22hr each day and gradually move your teeth to the desired position. The aligners are removable and are normally changed every 2 weeks. The duration of treatment depends on the complexity of each individual case. 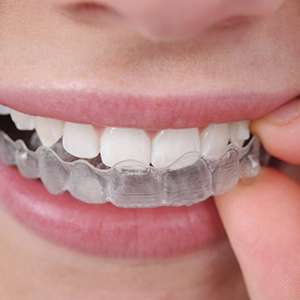 Aligners are taken out to brush, floss, eat, play sport or to attend that special occasion. 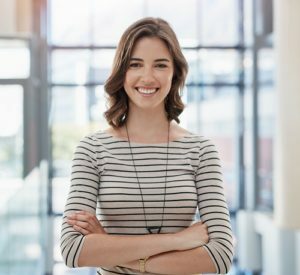 It’s virtually unnoticeable so you can always feel confident showing your smile off and knowing that almost nobody will know that your straightening your teeth. Just like braces, the overall treatment time can vary depending on the treatment needed. Some of our patients can have straight teeth in just 3 months, others upwards of two years. For the average person, treatment is approximately 9-12 months. Ceramic braces or white braces are just like traditional metal braces except they are clear. Normally they are made of a ceramic material and are slightly larger to add extra strength. 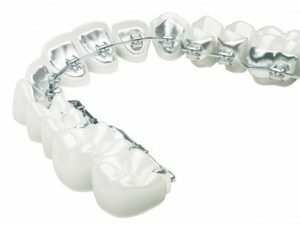 We use the Radiance bracket which is the clearest orthodontic bracket available today. We can even use tooth-colored wires with your braces so they are even less noticeable. Lingual braces are where the braces and wires are placed on the inside of teeth. They are made from medical grade stainless steel or a gold alloy. These appliances are custom made for each patient to suit your specific tooth shape and size. Treatment time can take longer than normal braces and some patients report irritation to the tongue and speech problems. Metal braces and wires are what most people think of when they hear the word braces. They have been around for more than 100 years and are efficient and reliable. In the past they were large and bulky. Over time they have become smaller and smaller which also increases patient comfort. 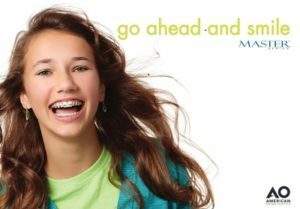 The modern metal brackets are smaller, stronger and less noticeable than the notorious "metal-mouth" braces than many adults remember. New nickel-titanium technology means that the wires used with braces move your teeth quicker and less painfully than in the past.